If you happen to host a website with Spigot’s hosting company Cinch, you’ll know that we also provide email hosting with your account that is connected to your domain (e.g. joe@joes.com). It’s a decent service, but very basic. And I mean very basic. Here’s the account specs: We limit each hosting client to 5 email accounts, and each account has a mere 50mb inbox limit (We’ll often bump those numbers up if you need it, but that’s the basic set up). We’re careful to let everyone know that this service is basic, and if a more robust email hosting is needed, there are many options that can be looked at. One of those options is Google Apps, a free service that not only provides email, but calendars, online documents, and a few other services are also provided. The email service is a definite step up from what Cinch provides, with unlimited email accounts and a whopping 7gb storage per account. You’ll also gain access to Gmail’s excellent webmail interface. Cinch also supplies a webmail interface, but compared to Gmail, it’s clunky, non-intuative, and bug ugly. But perhaps the biggest benefit is having Gmail’s superior spam filtering engine on your side. Most spam will be caught before it even gets to your inbox, and what does get through can be flagged, reported, and teacher will post their names on the blackboard. neah neah. We’ve recently switched all Spigot emails and calendars over to Google Apps and couldn’t be happier. The extra space is nice and the spam flow has all but stopped. Highly recommended if you’re having any sort of email issues. If you’re a DIY’er here’s a link to getting started with Google Apps. If you’re too busy running your own business, give us a call and we can help you make the switch for a reasonable price. 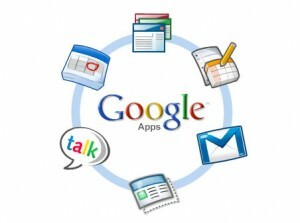 I enjoyed your postings about Google Apps and the previous posting about CRM. I\’m a business consultant in Draper and I have been doing more and more Google Apps and CRM implementations for my clients. I\’d like the opportunity to meet with you and share what I\’m doing in this space. Perhaps there will be some opportunities for us to work together. You can reach me via email or on my cell phone at 801-455-8680. Thanks for the article on Host YOUR Own Email With Google. This is helpful for a newbie like me. a taboo matter but generally folks don’t discuss these issues. Greetings from Los angeles! I\’m bored at work so I decided to check out your site on my iphone during lunch break. when I get home. I\’m shocked at how quick your blog loaded on my mobile ..
I\’m not even using WIFI, just 3G .. Anyways, wonderful blog!